When it comes to choosing the material for your home’s roof, you have a variety of options at your fingertips. While the most popular material is shingles, many homeowners are beginning to choose metal. As a top roofing company in Huntsville, AL we know that Metal roofing has many benefits, including superior performance and longevity. Plus, metal roofing is quick and easy to install due to the fact that it does not require any structural changes for its weight to be supported thanks to it being lightweight. As a result, it can be used on any architectural style home. But what exactly makes this particular style of roofing such a worthwhile investment? Here are three particular features that sets metal roofing apart from the other roofing materials available. Nothing compares to metal roofing when it comes to weather resistance. Metal has the ability to resist high winds, hail storms, wildfires, and many other severe weather elements and conditions. It easily sheds snow and rainwater, which assists in prevent significant moisture problems that could potentially result in the growth of mildew and mold on the roof. Since metal roofing is virtually impervious to anything, it will not deteriorate very easily. When metal roofing is installed, the chances are high that you won’t ever have to invest in a roof replacement while you own the home again. Metal roofs can last for 50+ years, with the required maintenance, which is minimal. This will save you time, effort, money, and anxiety. 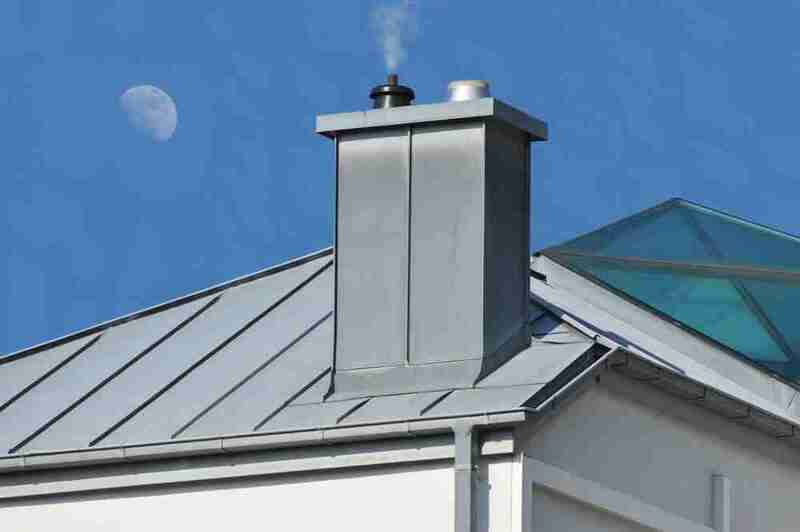 Metal roofing, unlike other roofing materials, has the ability to naturally reflect the sun. As a result, the metal minimizes overall heat gain in an effort to stabilize the temperatures inside your home. This drastically improves your family’s comfort levels while also reducing overall energy consumption and costs. When choosing the color of your metal, opt for a lighter color for maximum energy efficiency. Some people say that metal roofing looks dull; however, this is just a myth and it comes from photographs from old tin roofs that were installed on industrial buildings. Today, though, metal roofing systems come in an assortment of colors, textures, finishes, and profiles that can match just about in architectural style. In addition, metal roofing can mimic the authentic appearance of shingles, tiles, slate, and even wood shakes, which allows you to make a notable statement with your home’s roofing. If you would like to learn more about what metal roofing can offer, contact the professional roofers at 2and2None Roofing.